Is the City of Helsinki the New Nordic Capital of Cool? For many years, the gaze of the world’s travel press and the holiday budgets of discerning globetrotters were focused on Copenhagen’s seemingly endless list of hip new eateries and Stockholm’s effortlessly cool fashion labels. But this has recently changed. 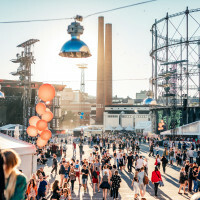 Having celebrated the 100th anniversary of its nation’s independence in 2017, and with the eyes of the world’s foodies currently fixed on its blossoming craft cocktail scene and nouveau Nordic cuisine, Helsinki appears to have stolen the spotlight from its metropolitan neighbours to become the new cool capital of Northern Europe and the North Atlantic. From classic cafés, traditional saunas and sprawling parks, to modern restaurants, a new Meatpacking District, revolutionary coffee roasters and the first distillery to open in Helsinki in over a hundred years, the Finnish capital is happening now and awash with cool venues and trendy hangouts to rival the rest of Norden. On 23rd March 2018, Maharashtra became the 18th state in India to introduce a complete ban on plastic bags and other items made of plastic. It was a comprehensive order, that not only banned the manufacture of plastic bags, cutlery, thermocol and PET bottles of less than 500ml capacity, but also their usage, storage and distribution. The government’s decision received widespread support from the general public and environment activists. However, within a fortnight, the ambitious order was already showing signs of coming apart. Intense lobbying by manufacturers led to some exceptions to the new legislation. For example, milk packets and PET bottles were exempted. Currently there are intense efforts to make the new regulations inapplicable for other packed items. As in many other Indian states, it seems that insufficient planning may be the undoing of Maharashtra’s plastics ban. 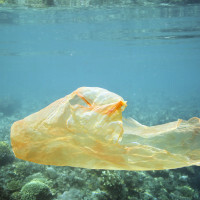 Half of India has issued individual state-wide notifications for a complete ban on the use of plastic bags and other plastic items, but, without cheaper and viable options, any ban cannot be implemented in its true spirit. 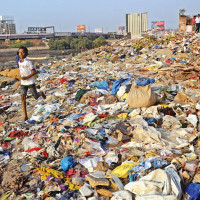 It seems that while India is indeed on the right path when it comes to restricting the use of plastics, there is still a long way to go to effectively implement government legislation to help India’s massive plastic waste problem. Paris-based hotel company Accor owns and runs twenty different brands in one hundred countries. Its portfolio includes internationally acclaimed luxury brands Raffles, Sofitel Legend, Fairmont, MGallery by Sofitel and Pullman, not to mention popular midscale brands Novotel and Mercure. On 30th April 2018, AccorHotels added another 20,000+ rooms to its global inventory, when it signed an agreement to acquire Mövenpick Hotels & Resorts for just under half a billion Euro. 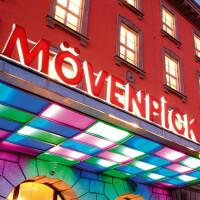 Founded in 1973 in Switzerland, Mövenpick Hotels & Resorts operates in 27 countries with 84 hotels and has a particularly strong presence in Europe and the Middle East. Mövenpick also plans to open 42 new hotels by 2021, representing almost 11,000 more rooms, with significant expansion in Middle East, Africa and Asia-Pacific. Sébastien Bazin, Chairman and CEO of AccorHotels, said, “With the acquisition of Mövenpick, we are consolidating our leadership in the European market and are further accelerating our growth in emerging markets, in particular in Middle East, Africa and Asia-Pacific.” The acquisition of Mövenpick by AccorHotels should be completed during the second half of 2018. Perched on Jumeirah Bay – a man-made seahorse-shaped island, two minutes-drive from the mainland – Dubai’s Bulgari outpost of 101 hotel rooms, suites and villas has brought Italian elegance to the Middle East and is the perfect antidote to the city’s numerous, ubiquitous skyscraper lodgings. Whilst all of the resort’s F&B offerings are top end, Japanese restaurant Hōseki is standout. Meaning “gemstone” in Japanese, the venue has just nine seats, there is no menu and chef Masahiro Sugiyama chooses what diners eat via a two-hour Omakase experience served twice nightly, tailor-made to each guest depending on their palate and available ingredients. For larger gatherings, Hōseki offers an equally intimate but slightly larger private dining room which seats twelve and boats spectacular 360° vistas of the Arabic Gulf and Dubai’s enchanting skyline. Last year a New York restaurant, where an average meal for two costs in the region of USD700, was named the best in the world. Eleven Madison Park was praised for its fun sense of fine dining. 2016’s winner of the hugely coveted world’s best accolade, Osteria Francescana in Modena, was voted second best in 2017, but retained the title of Best Restaurant in Europe. 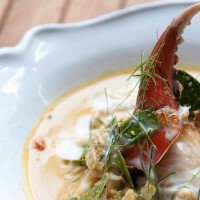 As one would expect, to compete in this arena is hugely competitive, with all eyes of the gastronomic world on a cluster of elite eateries and fastidious chefs, especially when the annual awards ceremony is looming. Held for more than a decade in London, the event moved to New York in 2016 then Melbourne in 2017. This year, the awards’ 17th edition returns to Europe, to be held in one of the most gastronomically rich regions of the planet, the Basque Country of Spain, at Euskalduna Palace in Bilbao. Opened in 1999 and built on the city’s riverbank in a style that echoes the great shipbuilding works of the 19th-century, Euskalduna Palace was the second building erected in the urban area of Abandoibarra after the Guggenheim. It is somewhat fitting therefore, that it is in this modernist gem on 19th June 2018 that the new world’s best restaurant will be announced. A few months ago, Rosewood Hotels & Resorts opened its very first property in South East Asia. Akin to a hidden ocean village and located on a 43-acre site in the southwest of the island, fronted by a stunning, 600-metre stretch of beach at Emerald Bay, the sprawling new resort offers 71 pool pavilions and villas that have been designed to blend into the tropical landscape. Think floor-to-ceiling windows and open-sided spaces that allow guests to take in the stunning natural surroundings and intense beauty of the area, including hilltop forests, lakes, wetlands and, of course, the sun-kissed sands. 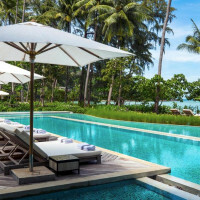 The prime location of Rosewood Phuket also provides guests with access to a range of carefully curated experiences, that tap into Phuket‘s unique charms and the island’s melting pot of Asian influences. Uncovering hidden shrines, checking out Sino-Portuguese architecture in the old town and hopping on luxury yachts to explore nearby islands are just some of the offerings that are available to Rosewood Phuket’s lucky guests. The World Gin Awards name the very best gins in a variety of internationally recognised styles and promote the world’s best gins to consumers and trade across the globe. 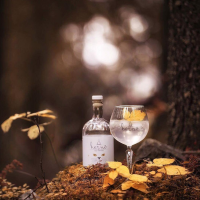 Hernö Old Tom Gin has won the accolade of world’s best for 2018. But gin doesn’t have to be expensive to be good. A testament to this is discount supermarket chain Aldi’s £9.99 Oliver Cromwell London Dry Gin, which was named one of the best gins in the world, for the second year running, by the prestigious International Spirits Challenge (ISC). Unsurprisingly, Aldi’s bargain-priced award-winning gin is now regularly sold out at Aldi stores. The moral of this story? A good gin won’t break the bank, but you need to get your skates on to bag a bottle! On Wednesday evening 18th April 2018, at the King Abdullah Financial District Theatre in the Kingdom’s capital of Riyadh, the lights dimmed and the mixed crowd of men and women erupted into applause as Hollywood blockbuster “Black Panther” premiered in Saudi Arabia’s first new cinema to open in more than 35 years. The cinema has 500 leather seats, orchestra and balcony levels and marble bathrooms. Three more screens will be added by mid-summer. This screening of “Black Panther” may have been an invitation-only affair, but it was hugely significant in that it heralded the launch of a number of new movie theatres opening to the public this month, after the authorities agreed with AMC Entertainment Holdings to open up to forty new cinemas over the next five years. Saudi Arabia had some cinemas in the 1970s, but powerful clerics closed them, reflecting rising Islamist influence throughout the Arab region at the time. All of this changed last year when the government said that it would lift the cinema ban as part of ambitious economic and social reforms driven by Crown Prince Mohammed bin Salman. It was recently announced that Vox has won a second license to operate movie theatres in KSA, and plans to invest SR2 billion to open 600 screens and provide 3,000 jobs in the next five years. Justin Pinchbeck has recently been appointed general manager of the landmark 303-bedroom Sheraton Grand London, which underwent a multimillion-pound refurbishment in 2016 and promoted to the premier tier of the Sheraton brand. The revamp of the iconic Mayfair hospitality address restored the 92-year-old property to its splendid art deco glory, saw an upgrade of its public spaces including the Grade-II-listed ballroom, and created new Italian restaurant Mercante. The hotel’s iconic Palm Court continues to be a unique cocktail destination within the British capital, with the renovations creating a perfect blend of contemporary and historic. Sheraton is one of thirty brands within the stable of Marriott International, now the world’s largest hotel group following its acquisition of Starwood Hotels & Resorts in 2016.